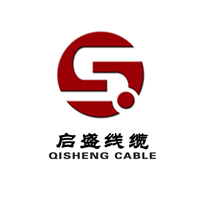 Product categories of Civil Building Cable, we are specialized manufacturers from China, Civil Building Cable, Suspension Cable suppliers/factory, wholesale high-quality products of Pvc Insulated Wire R & D and manufacturing, we have the perfect after-sales service and technical support. Look forward to your cooperation! A weak electrical cable is a cable used for security communications, electrical equipment, and related weak electrical transmissions. Wire and cable refers to materials used in power, communications, and related transmission applications. There are no strict boundaries between "wires" and "cables." Generally, a product with a small number of cores, a small product diameter, and a simple structure is called a wire, a non-insulated wire is called a bare wire, and the other is called a cable; a conductor having a large cross-sectional area (greater than 6 square millimeters) is called a large wire. Small (less than or equal to 6 square millimeters) is called a small wire, and insulated wire is also called a wire. Wire and cable mainly includes bare wires, electromagnetic wires and insulated wires for electrical appliances, power cables, communication cables and optical cables. Inner conductor: Since the attenuation is mainly caused by the resistance of the inner conductor, the inner conductor has a great influence on the signal transmission.